The Georgia Conservancy is proud to offer extended and in-depth paid internship opportunities through our Fellowship Program. Georgia Conservancy Fellows provide support for our programmatic work, as well as take on leadership roles through special projects. Through your generous support, in 2018, we hope to provide opportunities to two dedicated and talented individuals in an effort to forward our mission. These two fellows will both continue and expand upon the work of previous fellows, Laura Buckmaster and Jonathan Franklin. Over the course of eight months in 2015-2016, Laura Buckmaster led nearly 500 volunteers on Cumberland Island in the successful effort to restore all 50 miles of the island's backcountry trail system and produce the National Seashore's first comprehensive trail map. Click here to learn more about her work. 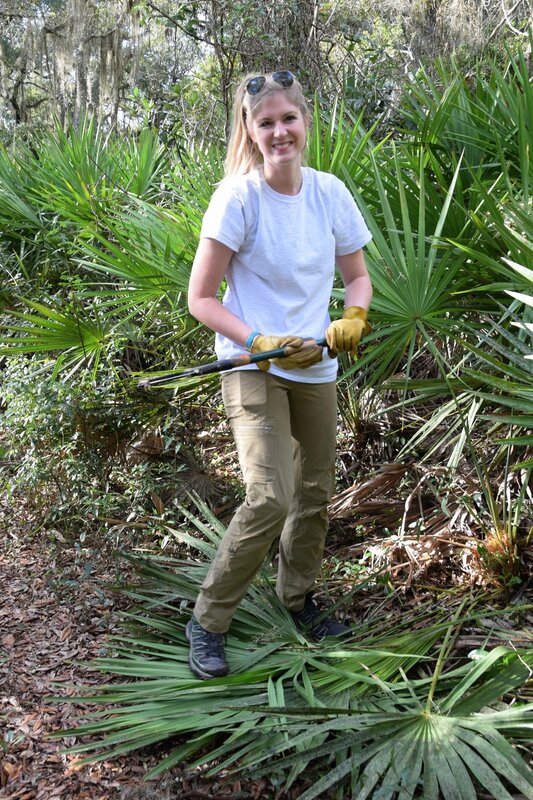 Her efforts have continued into 2017, and through your support, post-Hurricane Irma trail restoration work with the National Park Service on Cumberland will continue into 2018 with a new Cumberland Island Fellow. Jonathan Franklin, a graduate student at Georgia Tech College of Design, is currently working with our Sustainable Growth Program team to develop sustainable growth solutions in a number of communities in Georgia. In Paulding County, Jonathan has worked to map, analyze, and write the county's Land Use Plan. In LaGrange, he has worked with a historic, low-income neighborhood to plan out future developments that would enrich the lives of the existing residents. Our our coast, Jonathan as mapped out infrastructure and environmental conditions to aid in regional planning efforts. His current work through our land-use and sustainable growth planning efforts in the cities of Milton and Hogansville, as well as on the westside of Atlanta, is invaluable. Please consider supporting opportunities for two new Georgia Conservancy Fellows, as their efforts will forward our mission to protect and conserve Georgia's natural resources.